Beginning in January 2019, the Sustainability Leadership Programme will provide an integrated, practical, hands-on experience to support sustainability practitioners, managers and directors to utilise sustainability as a value-creating opportunity. The Programme, developed for the edie network of sustainability professionals, consists of five, two-day courses, with a sixth, one-day implementation course to help you put the theory into practice. You can take all six courses, or pick and mix depending on your individual and organisational requirements. The video below provides a full summary of the Programme. Sustainability Leadership (30-31 January 2019) covers the tools and tips for developing a sustainability strategy, and the soft skills needed to operate at board and senior level in making this strategy happen. Circular Innovation and Sustainability (6-7 March 2019) looks at the relationships between materials, resources and flows. It will give you the tools for introducing circular principles across business functions. Maximising Opportunities (14-15 May 2019) focuses on how collaborating with stakeholders to contribute to the delivery of the Sustainable Development Goals (SDGs) can be a source of new value-creation opportunity and how best to engage with and manage these influences. Building the case for sustainability (4-5 September 2019) focuses more specifically on making the business case for sustainable supply chain activities within your organisation. Business Resilience (12-13 June 2019) covers a range of tools and techniques to make organisations more resilient in a world characterised by complex social, economic and environmental challenges. Implementation (course date TBC) is a one-day course and gives you an opportunity to create a plan, discuss and seek feedback from Cranfield’s experienced faculty on how to navigate the difficulties of initiating and embedding change within your organisation. To coincide with the launch of the Programme, edie and Cranfield are running a series of free, online masterclasses, providing a taster of each module of the Sustainability Leadership Programme. The masterclasses, which are 30 minutes in length, are hosted by the course leader for each module, giving participants an insight into some of the key themes that will be explored in much greater detail in the full course. 1) 'How to lead a sustainability strategy for your business', delivered by Cranfield University's module leader for Managing Corporate Responsibility, Rosina Watson. The third 30-minute masterclass in the series is taking place on Wednesday 28th November at 2.30pm. The session will focus on ‘How to engage with stakeholders on sustainability’ and it will be delivered by Paul Leinster, Professor of Environmental Assessment. Register for the masterclass here. There is still time to apply to join the Sustainability Leadership Programme beginning in 2019. Full information can be found here. 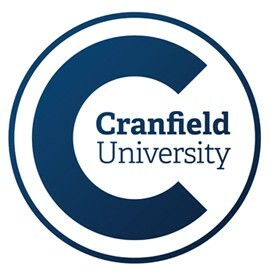 I look forward to welcoming you to Cranfield.